For my final presentation I created an experience where the viewer could enter a fictitious 'cave' where multiple objects where shown. This was the first attempt of a self-imagined story, tried to make into a realistic environment for the spectator. A interactive installation where I invited the visitor to subscribe as a donor for my fictitious company " Mors Tua Ars Nostra", Your Death is our art. ​Collaboration of 3D and oil painting, ​3D Painting. I will not be forsaken, ​Sculpture. ​1. 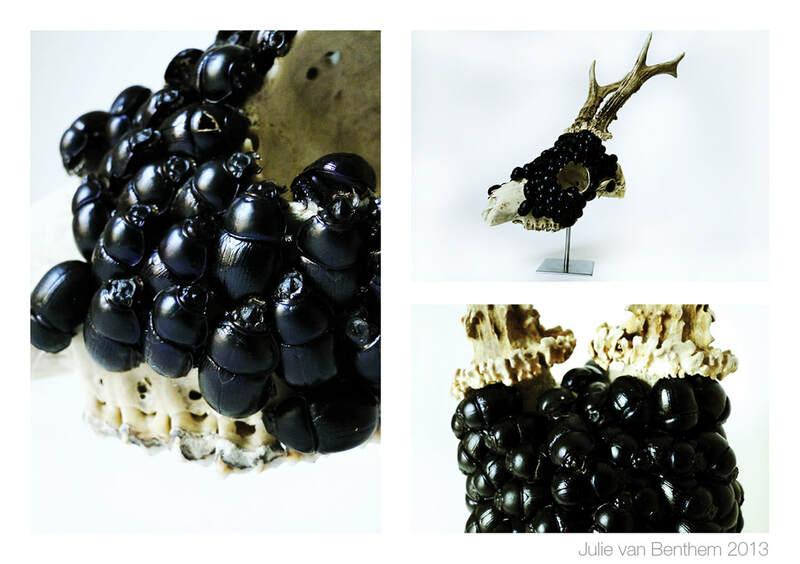 Plush deer toy with beaded sheep skull, 2. 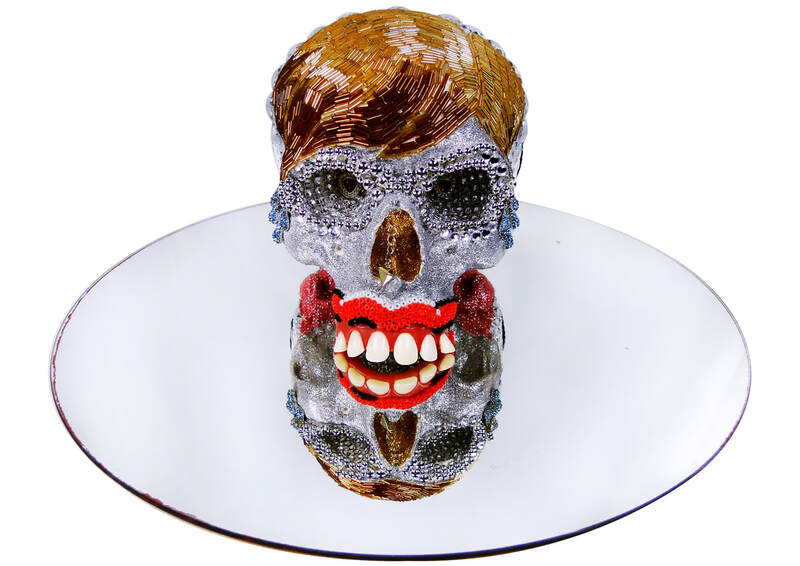 DogoD, dog skull with glitter and beads, 3. Experimental skeleton with cow skull, 4. 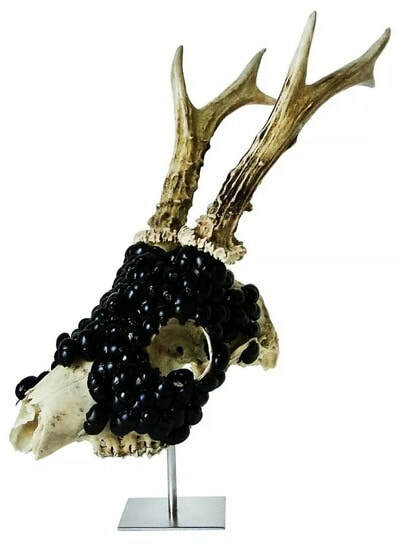 Deer trophy with beads. Mold of human skull for edibles and casting. ​​Mold of human face created for edibles. ​Mold of own hand created for edibles.